On October 17, 2014 the audience of the Como Contemporary Contest has participated in the creation of a big watercolor entitled “Water”. Buy a poster, help the Water! I’ve decided to create prints and other gadgets to feed the project after the big event has ended. You are welcome to buy them on the shop, 80% of my profits will still be donated to Water For People. Here you can see some samples of the graphics I have created. 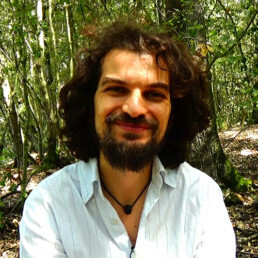 My name’s Niccolò Angeli and I am an artist based in Italy. Because I am aware that sometimes contemporary art exhibitions can be boring, I decided to present a big white paper sheet in mine, and let the public co-create the artwork by themselves. 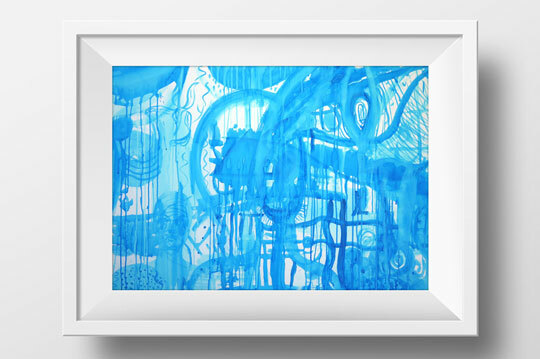 I named the artwork “Water” and provided the public with brushes and blue handmade watercolors. I also wanted to create a little social event around this project, so I decided to dedicate this artwork to those who don’t have enough “Water” on this planet. 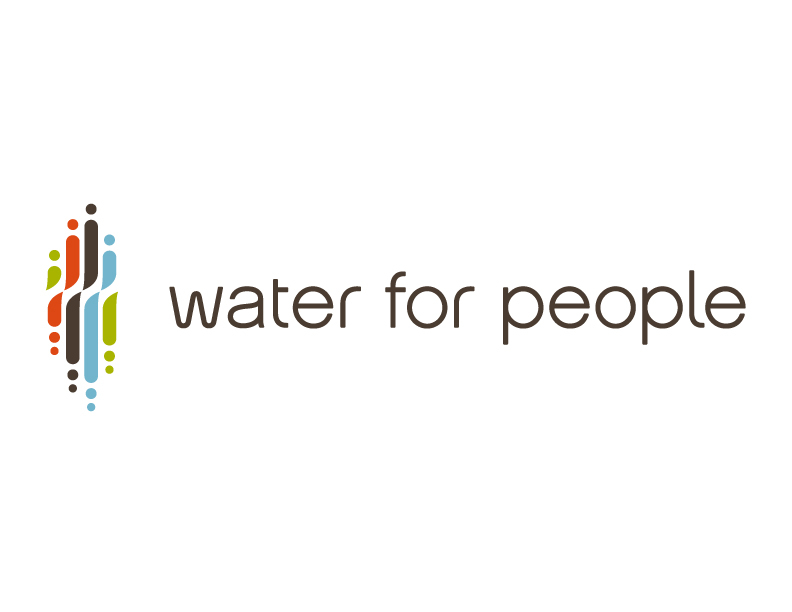 Water For People is helping me to achieve this by taking 80% of the profits of this atrwork’s sale and using them to bring clean water where it’s needed. Water is such a basic and overused element for us that we always forget how incredibly wonderful it is… and how little time we would survive without it! According to Unwater.org 85% of the world population lives in the driest half of the planet and 783 million people do not have access to clean water. Water is also something that connects all of us (just like air does), not only because roughly 60% of our bodies are composed by it, but also because the water you drink once could have been a cloud coming from a faraway place, then rain or snow or ice, then a bottle on your table. Think about it the next time you drink it.